The scarf is 21 x 21 square in a geometric design of 3 shades of green from mint to deep chartreuse. The coordinating earrings measure 1 1/2 inches from the finding loop. They begin with a mint green tube bead surrounded by small chartreuse round glass beads and silver seed beads. 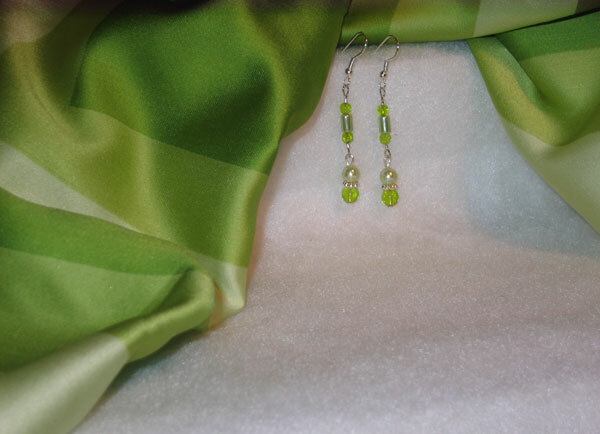 The dangle has a large, round mint green bead and a large, round, chartreuse glass bead separated by a silver spacer. If green is your color, enjoy!